Jorn, and more specifically Jorn Lande, should need no introduction. Since the mid 90s Jorn Lande has appeared on close to 40 albums and this is the eighth album of original material under the moniker of Jorn. This is also the first outing from this lineup in both music and songwriting. He has achieved almost legendary status over the years, his vocal delivery and songwriting up there with the best of them. The last release or two were possibly not to his previous high standards so when you start reviewing another one of his, there is always the danger that you expect too much and end up feeling as disappointed as a music lover at a Coldplay gig. I am possibly guilty of expecting too much but I am anything but disappointed (and as a lifelong Hammers fan I know what disappointment feels like). 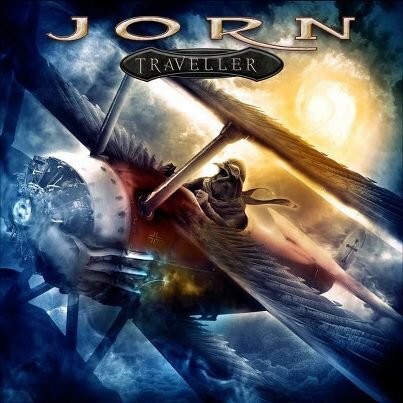 Jorn has again come bursting out of the gate in the songwriting stakes, together with co writer and guitarist Trond Holter who joined the band last autumn from Wig Wam, along with bassist Bernt Jansen. The subject matter of the album, life, doom and death may not immediately appeal to everybody but musically it leaves you feeling good, very good. There is nothing melodically melancholy as so many would drift into (pick a minor key, any one...) given the subject matter. Lyrically it is uplifting and more importantly it makes you think, how much depends on how deep you want to delve. This is Rock and philosophy rolled into one – Rockosophy anyone? And Lande's voice? 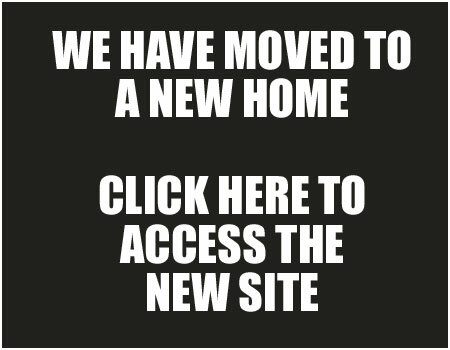 If I were him I would think about a law suite against the BBC – if anyone can lay claim to having 'The Voice' it is the fella from Telemark, not some fame hungry dissonants who were last seen cowering in the corner at the mere mention of the word harmony. Although occasionally reminiscent of Coverdale (in his prime) and Dio (always in his prime), this is Jorn Lande, make no mistake, melodic and powerful, soulful and passionate. There is a little more throaty grit in his voice these days and his voice may not be as pure as on the likes of Millenium's 'Hourglass', but that doesn't detract from his performance greatly. The band behind him (I wouldn't use the words backing him because they are a lot more than that) are a talented group and know exactly what they are doing. The guitars of Trond Holter and Jimmy Iversen are dynamic, with elements of classic Van Halen, in both sound and feel. But where they really come up trumps is the lack of predictability. They are creative, instinctive and add more than a little spice. Bassist Bernt Jansen and drummer Willy Bendiksen are in sync perfectly. As much as AC/DC claimed the girls got rhythm, in this case the boys definitely have it. This may very well be the best incarnation of Jorn. 'Overload' starts things and it does what it says on the tin. It is heavy, crunching guitars and bass taking cue from the deep, pulsing keys. It is gritty, Lande's voice getting down and dirty in the best sense of the word. Musically it has the feel of a speeding train with a ¾ time signature – things arrive just a little quicker than you expect (clearly not a Virgin train). I told you this album would make you think. Next up is 'Demon Cancer', perhaps not a normal choice for a song title, but Jorn handles it with emotion, feeling, with elements of abhorrence and at times futility where the big C is concerned. If I tell you the intro has echoes of 'Holy Diver', then it takes on even more meaning. There is that feel throughout the song and if you can just listen to this one without so much as a thought for the depth behind the words, there is something very wrong. If you are feeling a little morose after 'Demon Cancer' the title track and 'Window Maker' (No, not a tribute to Bill Gates) will get you back on track. They are well crafted, well written songs, Rock as it was meant to be. 'Traveller' especially, with its climb heightening the melodic progression, is one of the musical highlights of the album, but there are so many. "Make your engine scream" is probably the most straightforward track on the album, again a well crafted song but lacking that something extra this lot normally give you. It does though have an anthemic quality to it, albeit with the few compulsory lyrical cliches. It is a testament to how good this album is that a merely good song somehow seems disappointing. 'Legend Man' sees Jorn proclaiming he is going to start a new religion and with guitars taking centre stage, it is definitely a hymn I could get to grips with. Another damn fine song, the riffs behind the melody giving it a different feel to the rest of the album. It is heavy, it rocks and it does a very believable impression of a speeding bullet. 'Carry The Black' has all the makings of an epic. In another dimension, it has Ronnie James Dio singing the track as part of the Sabbath reunion. It is a song of many shades, dark and sombre courses through its veins, giving way to light and revelation before the darkness takes hold again. Musically, it is a supreme work, guitars pulling the moods in new directions. Music to my ears anyway, it has everything, well no free bottle of JD but that is just being picky. The power of Rock and Roll will take control so they tell us in 'Rev On' and if nothing else the band stick to their promise. Big wild guitars in the middle of the song, Jorn himself in fine fettle, melodious strains abounding and yes it does take control. All of which brings us to the forecast and to 'Monsoon'. Michael Fish never delivered it quite like this. Guitar and pounding drums interplay at the outset, middle eastern feel to the guitar coming to the fore throughout the song, like Turkish delight on speed and it delivers its promise. Another well crafted tune. So to the album closer, 'The Man Who Was King'. Musically this is another beautifully created song, quiet and subtle before launching into inspiring, heart wrenching melody. The kind of melody that speaks to you with the music alone. But add to it Jorn telling us about "The Jesus of Heavy Metal". If you are left in any doubt exactly who he is talking about, "he was the man on the silver mountain" should help you. A truly moving way for the band to leave us and Lande and the band manage very well to put across what most of our feelings are towards the great man, missed by us all. Musically, 'Traveller' is a paradox. It is pure, unadulterated classic rock in the very traditional sense, yet if it is listened to by someone just waking up from a 30 year coma, they would have no inkling it is a genre that has been with us for years. It has originality yet its essence comes from a tried and tested formula. It is modern yet classic. Hell, it is just damn good. Being half a Viking myself, I have tried to find fault with this release just in case anyone thinks there is some kind of Norwegian brotherhood with dodgy horned helmets that requires me to give a good review. With the exception of the few minor blemishes already mentioned, I have failed in that regard and even if the band were Swedish (it's a Scandinavian thing), it would be the same review. Mr Lande says in 'Rev On': "Live For Today, 'cause tomorrow may never come". I sincerely hope for everyone who knows their music that June 14th does come. Getting hold of this album is most definitely a must. How is entirely up to you.